Text by Huzan Tata. Author image courtesy of Dabboo Ratnani. A young girl whose progressive idea transforms her village; a lady who finds love in her old age; a man who wears sanitary pads to understand women’s issues –Twinkle Khanna’s second book is a collection of short stories that make you both think and smile. 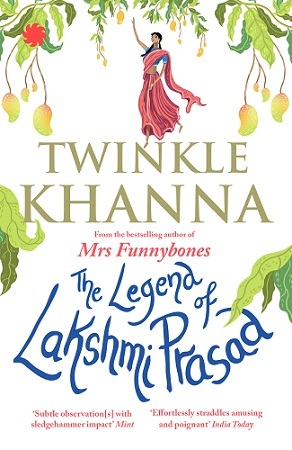 The self-titled Mrs Funnybones’ first attempt at fiction, The Legend Of Lakshmi Prasad, focuses on women-centric issues that are on everyone’s minds but seldom talked about; and each story is peppered with her trademark wit. The Legend Of Lakshmi Prasad is published by Juggernaut.